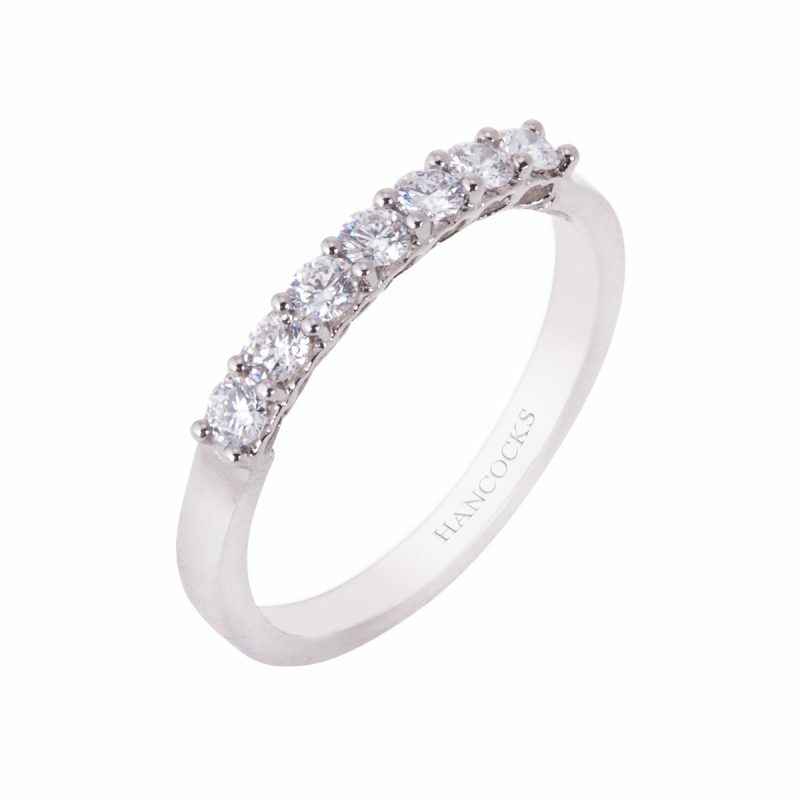 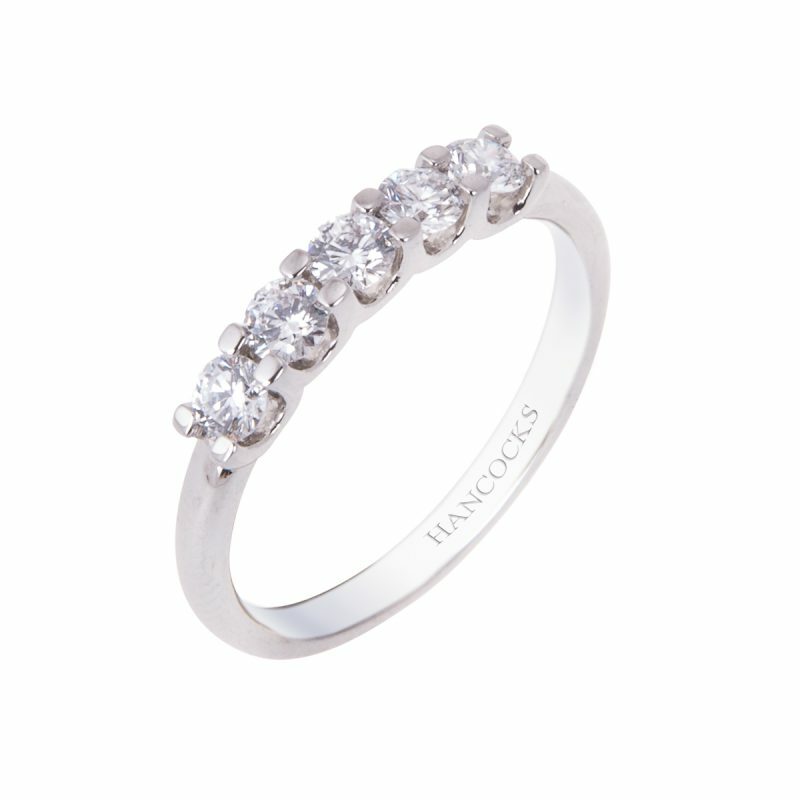 Classic design meets contemporary styling with this stunning half eternity ring. 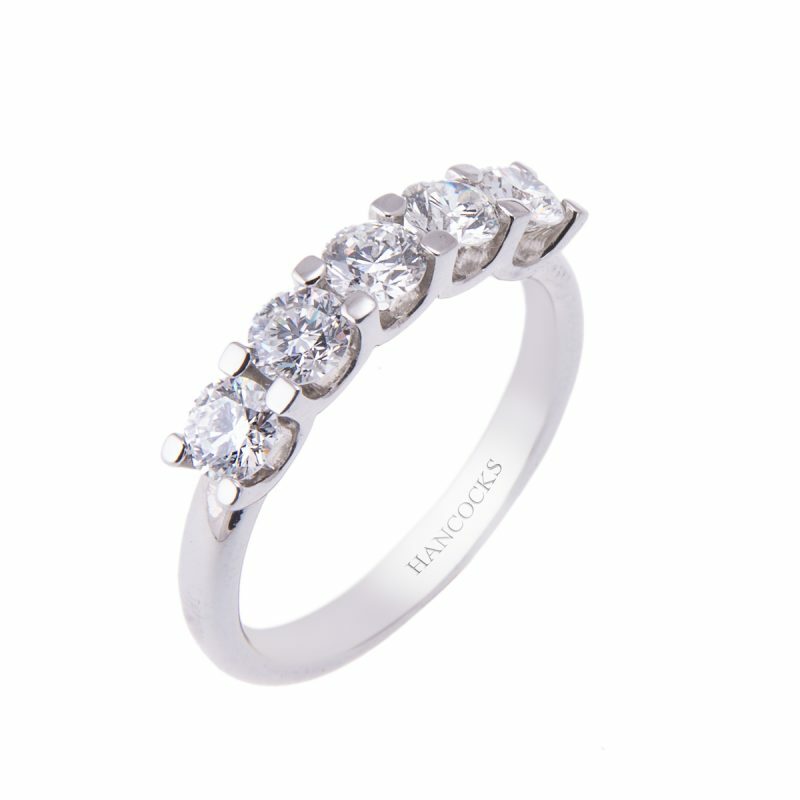 Featuring five perfectly matched ice white diamonds held in a distinctive platinum cog setting. 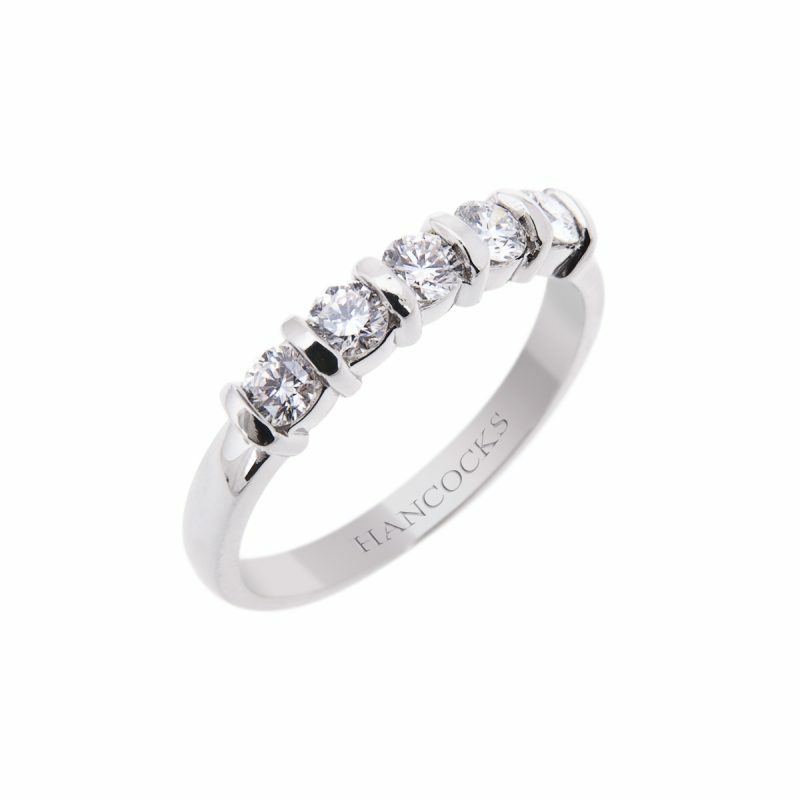 The eternity ring is viewed by many as the classic symbol of love and this ring is a great choice to celebrate a significant anniversary.